Source: The Pacific Public Health Surveillance Network (PPHSN) is a voluntary network of countries, areas and organizations, dedicated to the promotion of public health and response in the Pacific. The PPHSN was created in 1996 under the joint auspices of the Secretariat of Pacific Communities (SPC) and WHO. 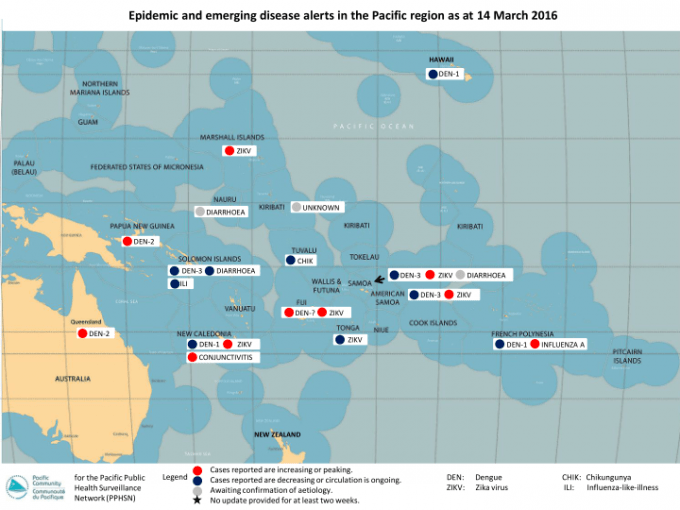 Its goal is to improve public health surveillance and response in the Pacific islands, in a sustainable way. The first priorities of the PPHSN are communicable diseases, especially the outbreak-prone ones. The target diseases include: dengue, measles, rubella, influenza, leptospirosis, typhoid fever, cholera, SARS and HIV/STIs.